As Heraclitus once rightly quoted, “The only thing that is constant is change. Every new year, each one of us welcomes this change with ambitious resolutions, yet none of them pass the test of time. What if our methods need a revamp? Maybe self-help doesn’t have to be a lonely struggle. Guided by that thought, I’ve come up with a list of 10 New Year Resolution Apps that can turn your New year resolutions into new realities. Considering the vast majority formed by smokers, this New Year Resolution App will help you live longer to see another year. While there are tons of self-help apps that target smoking addiction, they often miss out on providing community support. MyQuit Coach bridges that gap by offering a “community” option filled with people who know firsthand how difficult it is to quit. This community offers a built-in social support circle that keeps you motivated and offers a platform to share your struggles. The UI of the app is simple and realistic as it offers you the choice to either quit smoking cold turkey or gradually decrease your daily nicotine intake at a pace that works for you. 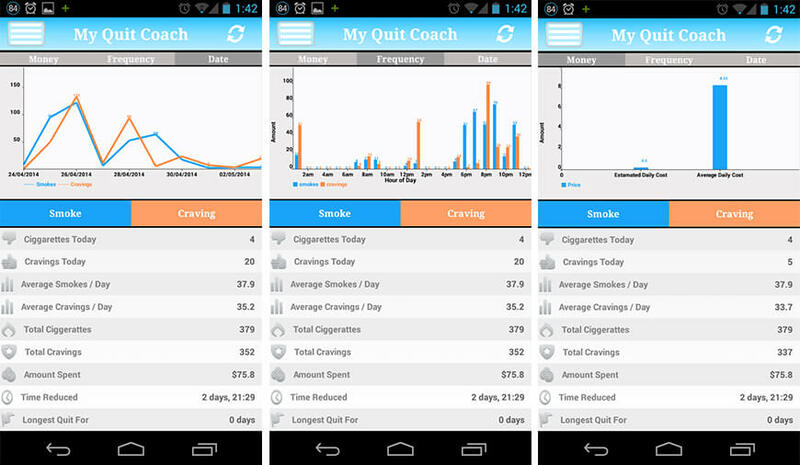 MyQuit Coach keeps track of the cigarettes you smoke and nicotine cravings. To fight these cravings, you can set reminders, goals, and even personal motivations. Each time you achieve a goal, you’re rewarded with achievement badges that remind you how far you’ve come. You can even share your progress by updating it to Facebook and Twitter to receive your friends’ support. If you’re ready to embrace a healthier life, download the app available for Android and iPhone users. While everyone knows that a healthy mind resides in a healthy body, our new year resolutions often ignore this important aspect of our health. Despite the fact that 2/3rd of our body consists of water and is dependent on it for healthier skin, strengthening the immune system and several other health benefits, we constantly forget to drink needed volume of water. How do you expect to meet any of your New Year Resolutions, if you’re constantly battling diseases borne from chronic dehydration? Daily Water resolves this issue by tracking your water intake and reminds you to drink water in right time. This progress is statistically represented on a Histogram that shows the amount of your one day’s, recent one week’s and one month’s amount of drinking water. Say Hello to a healthier year will Daily Water available for Android and iPhone users. Millions of mobile app users have fitness as a priority in their New Year Resolutions list. 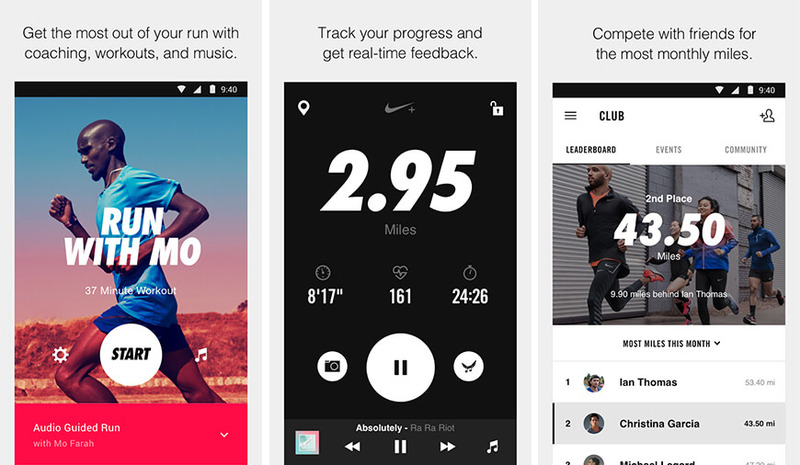 More than 50 million Android users definitely more on the App Store rely on Nike+ Running app to meet their fitness goals, and why shouldn’t they? The New Year Resolution Running App not only tracks the distance, pace, and time in which you ran but also keeps you motivated by allocating trophies and challenge programs between friends. So start winning by downloading the app available for both Android and iPhone users. In today’s era of global competition, it's not just the lifestyle that’s elevating. People across the globe are now way more stressed than their previous generation. Naturally, reducing stress is always a priority in the New Year Resolutions list. Being a part of the same lot, I decided to hunt for the best stress buster New Year’s Resolution App and BREATHE2RELAX won its competition. Developed by the National Institute for Telehealth and Technology, an organization within the U.S. Department of Defense, BREATHE2RELAX is a life-changing addition to anyone who’s struggling with stress and anxiety. The app not only offers a comprehensive understanding of the biology of stress and its effects but also teaches the biology of breathing. This New Year Resolution App explains to its users how to perform and use diaphragmatic breathing techniques to regulate their stress levels. In order to give a better understanding their stress levels, the app includes a graphing function that helps you decipher the prime cause of your stress, so stay stress-free with BREATHE2RELAX available for Android and iPhone users. Unlike many New Year Resolution Apps that promise far-fetched results, Lift is designed to guide you through one step at a time. The app helps you track how many times you complete a certain task over the past weeks/months. Some of the popular habits available on Lift include Floss, Sleep by Midnight, Run, Eat Breakfast, and Meditate. Every time you practice these habits at least 3 times a week and place a check-in, you gain 'Momentum' of the desired habits. This 'Momentum' serves as a yardstick to measure your success in achieving that habit. The app very understands that self-help requires social support and offers you a support system, in the form of users community. By giving you 'props' (likes) for your check-ins, the community brings an element of a healthy peer pressure which can help fuel your motivation. If you wish to turn aspirations into hard-to-break habits, download the app available for both Android and iPhone users. Being a travel bug at heart, one of the biggest challenges I face while upholding my New Year Resolution list is the resolution to save money for that dream trip. Every year I try several New Year Resolution Apps that claim to discipline me on my shopping, only to save my disappointment. This year would be the same if I hadn’t found my new favorite money saving app - Qapital. The New Year Resolution Money Saving App not only solves your spending problem with an automated process but makes savings a fun chore. It uses the "if this then that" (IFTT) rule-based web-service, based on which you set goals and the rules that will trigger transfers from your connected bank account into your Qapital account. The account is held by Qapital at Wells Fargo Bank and is FDIC-insured. Each time you make a purchase, a small amount of money will go into that Goal. If you’re worried about security theft, don’t be! All your data is SSL encrypted and the company doesn’t store any information on their servers. “New Year means new beginnings, whether it's in your professional life or personal.” How many times have you heard your friend saying this before they convinced you to download that New Year Resolution Dating App? You merrily obey only to meet deranged weirdos and creeps. If you’re nodding affirmatively to my previous statements then, Hinge will come as a pleasant surprise against your disappointing New Year Resolution list. Unlike most of the dating apps, Hinge doesn’t match you with total strangers, instead, find matches through your Facebook friends list and offers suggested date spots based on shared interests. If dating apps Tinder and eHarmony or Match.com ever decided to get together, their offspring would probably be Hinge, bringing you best of both worlds. Naturally, the app requires a Facebook account to sign up. Once that’s done, your profile photos and personal information are uploaded onto your Hinge profile. The only drawback is that you can’t delete or change your photos or information once it’s imported from Facebook, so make sure you’re happy with what you’ve shared on Facebook. The plus side, however, is that it displays your mutual friends, which avoids meeting up with an ex’s pal, your parent’s friend, or otherwise. 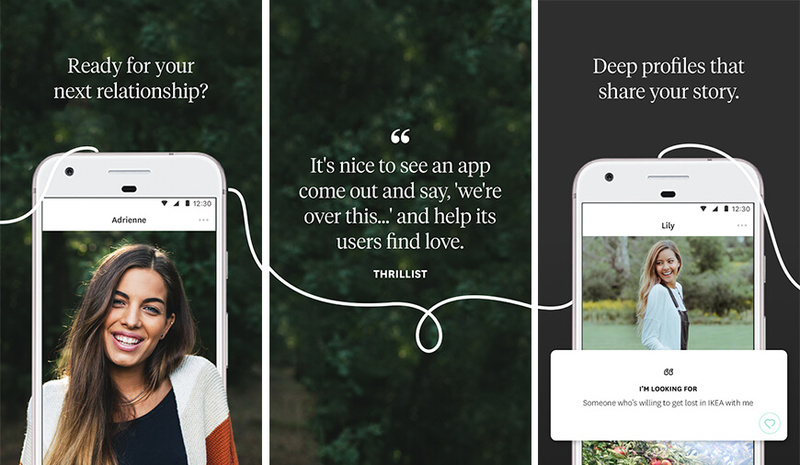 Much like love, the app is available for both Android and iPhone users. 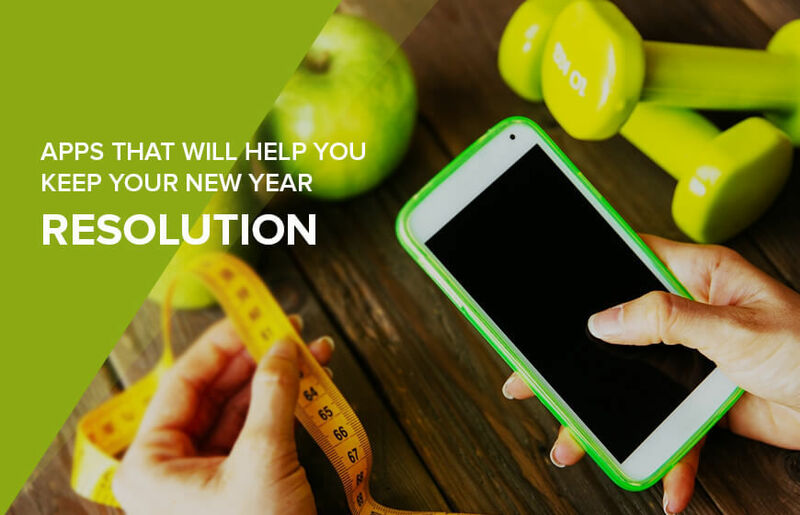 The developers of this New Year Resolution App have created many revolutionary gadgets which boast of a celeb following including late Steve Jobs, popular fantasy author J.K Rowling, and several Olympic sports stars. Once you give Pzizz a chance with your sleep, you will know why it boasts of such an eminent following. New Year Resolution App uses the science of psychoacoustics to gives its users a sleep-optimized mix of music, voiceover and sound effects, designed to calm the mind and help you sleep better. Besides having sleep modules that vary between 10 minutes and 12 hours, the app also features a built-in alarm embedded into it. Yes, such an app exists and is available for both Android and iPhone users. Curious to know why more than 8.5 million active users, many of which include Wall Streeters, Olympic athletes, and celebrity executives like Arianna Huffington and Richard Branson use Headspace or why companies like Goldman Sachs and the Dana-Farber Cancer Institute have bought package subscriptions for employees? Much like the app, the answer is simple - the app actually works. 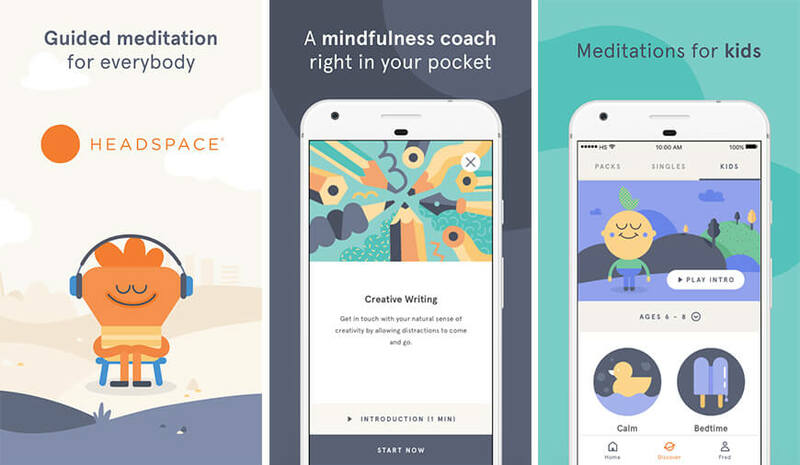 Co-founded by Puddicombe, a former Tibetan Buddhist monk, and Rich Pierson, the New Year Resolution Meditation app has successfully helped millions reduce stress and live mindfully. Besides teaching breathing techniques and exercises that help users stay calm, focused and maintain sleep, the strategic design of Headspace enables you to meditate regardless of where you are. The developers have primarily designed this app for beginners, so if you are new to Meditation its basic course is available for free. If it seems to be effective, you can upgrade to a premium model that unlocks several advanced techniques. To achieve a more peaceful year, download Headspace for free, available for both Android and iPhone users. Imagine you had own secretary who logged all your projects, related sub-tasks, their due dates and even gave you timely reminders of recurring tasks “each week” or “every Tuesday.” Unless you’re some fancy CEO, the proposition sounds like a far-fetched dream, doesn’t it? Not with Todoist that turns such as dream into a strategically achieved reality. This grandad of all New Year Resolution Apps with its efficient UI controls and timely alerts have bagged praises of leading critics including Forbes, Mashable, Entrepreneur, and TechCrunch. 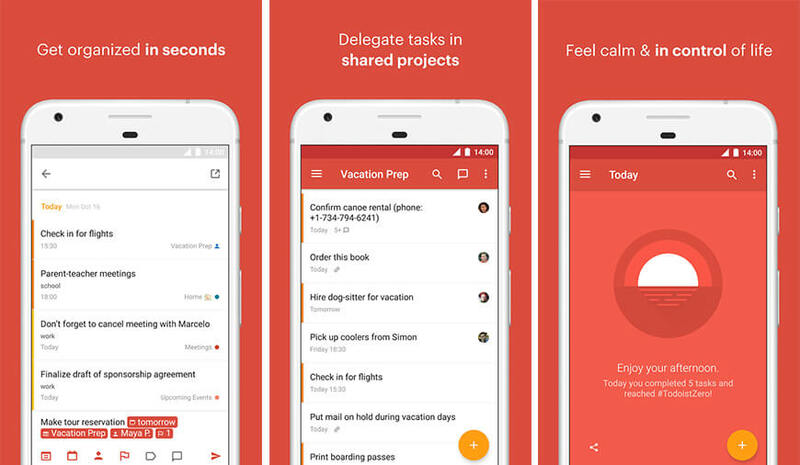 In case you’re wondering how is Todoist any different from your old post-its, paper lists, or Google Calendar reminders, surprise yourself by downloading the app available for both Android and iPhone users. These applications will only help you in case you are in the mood of DOING it. And all it will ask for is a hell of lot of Efforts. In case, you succeed, you are sure to see overwhelming results. 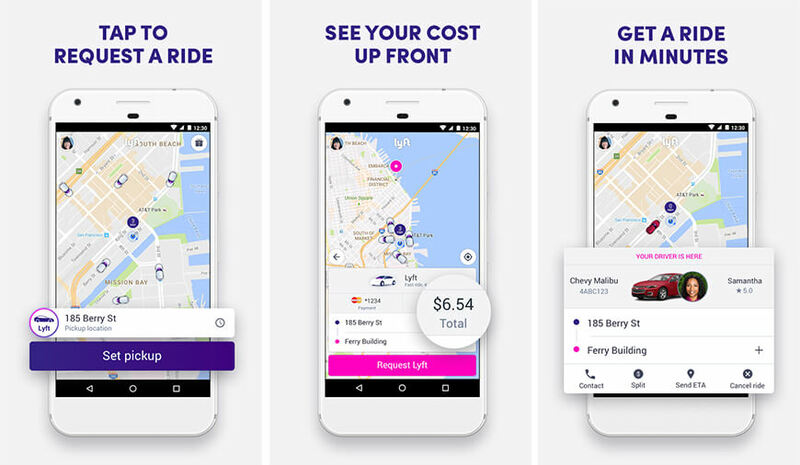 Besides, the list of the New year’s resolution app, you can have a look on the best android app for traveling or browse through the best beer apps.